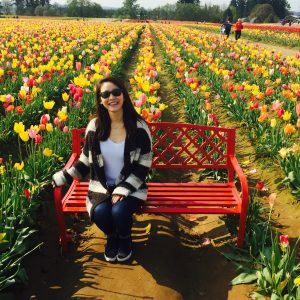 PIA offers a variety of optional activities for students to make friends, have fun, and explore Portland and the surrounding areas! Glass fusing – Create a beautiful glass souvenir to take home with you. Tie-dye T-shirt-making – Make your own brightly colored tie-dye T-shirt. Once finished, you can have your friends sign your shirts for lasting memories. Games – Play a variety of casino and board games. 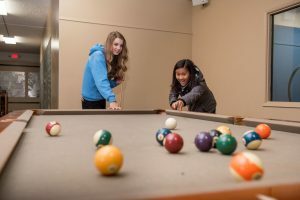 Sports – Enjoy soccer, basketball, or ping pong. 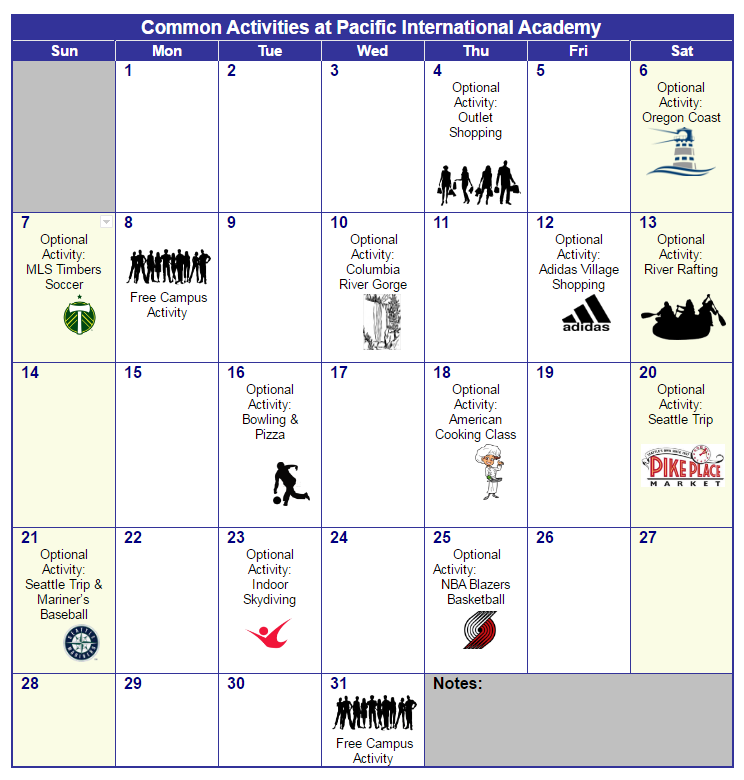 PIA also offers a number of off-campus activities throughout the term. These are held after school and on weekends. These activities require advanced sign up and there is a small fee. Outlet shopping – The Woodburn Outlet Shopping Center is the biggest and most popular in Oregon. Enjoy tax-free shopping at stores such as Nike, Adidas, Coach, Calvin Klein, Gap, and many more. Bowling – Have fun playing a couple of games of bowling and afterwards enjoy some delicious pizza! Columbia River Gorge – The Columbia River Gorge is unique in its natural and cultural history. It is also a beautiful National Scenic Area. Hidden inside this amazing scenic area is the incredible Multnomah Falls waterfall, which is 620 feet (189 m) tall. Seattle trip – Spend a weekend exploring the unique and interesting city of Seattle. The famous Pike Place Market is filled with delicious foods, handmade crafts, florists, and the very first Starbucks. Take a trip to the top of the Space Needle to get a beautiful view of the city. River rafting – River rafting is one of the most exciting recreational activities in Oregon. This exciting summer activity is a great way to immerse yourself in the glorious nature that Oregon is known for. Portland Trail Blazers basketball and Portland Timbers soccer – Experience Portland’s passionate fans cheering on our two favorite professional sports teams.